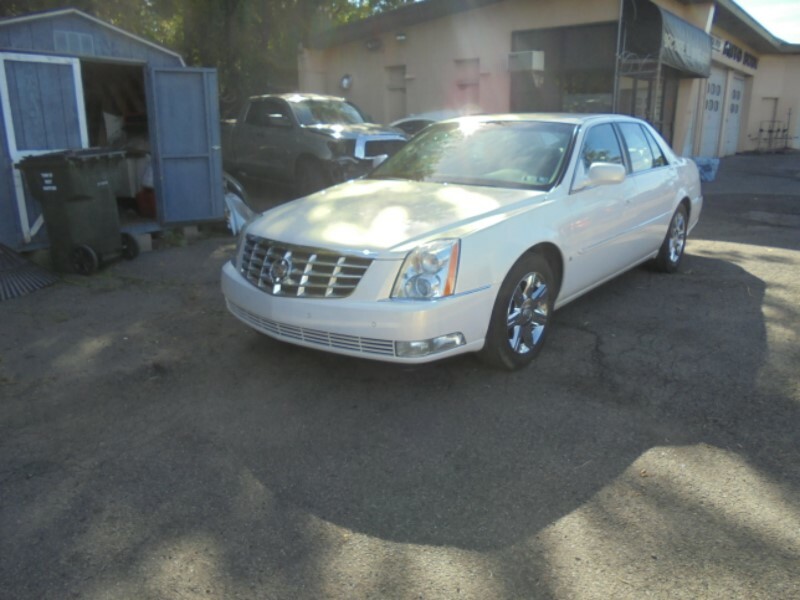 We are selling a White Pearl 2006 Cadillac DTS. This car is in perfect condition and drives just like new. The car has a great set of chrome rims, heated and cooled seats, backup and front bumper sensors, and clean leather seats. If you're looking for a nice vehicle to drive that'll last you a while this is the one for you. The vehicle only has 87,100 miles on it. If you are interested in the vehicle you are more than welcome to call at 860-951-0824 or come down to Brookfield Auto Sales, Inc. located at 8 Brookfield Street, Hartford CT to take the vehicle for a test ride and to negotiate with Mike or Tony. We accept trade ins and have guaranteed approval financing that can approve anyone no matter your credit situation. Also visit us on brookfieldautobodyandsales.com for our list of inventory.